Take your Web design skills to the next level! Whether you want to work as a freelance Web designer, join a Web development team, or build websites for your organisation, this course will give you the advanced tools you need. In these lessons, you'll learn to write HTML code for page content and CSS code for page styling. You'll master cutting-edge techniques that take advantage of HTML5 and CSS3, the latest versions of the languages used to create modern websites. With the help of step-by-step instructions, you'll build interactive websites that collect information from visitors through email signup and feedback forms. In addition, you'll learn the latest and most effective techniques for presenting layouts and video that work in any browsing environment from a desktop computer to a mobile device. Along the way, you'll explore aesthetics, color scheming, and accessible Web page design. And don't worry if you have only the most basic exposure to Web design! This course walks you all the way through to purchasing and uploading your site to a remote server. You won't need any special software, either—just the text editor that comes installed with your computer. Whether you're a beginner or an experienced Web designer wanting to update and enhance your skills, this course is perfect for you. 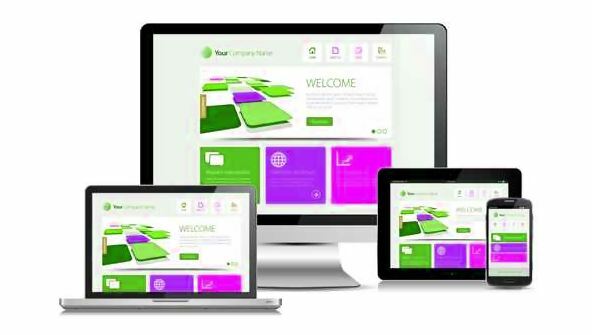 In just a few weeks, you'll be designing state-of-the-art websites that offer all the sophisticated elements that today's Web users expect to see. Lesson 1- What Is Advanced Web Design? From the moment that you enrol in Creating Advanced Web Pages you will become an integral part of our learning community. You will experience the perks of classroom studies such as chatting by the water cooler or sharing your opinion on a specific task, all in your own home.